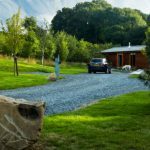 Have you ever dreamed of owning a luxury holiday lodge, your escape from the hustle of bustle, somewhere to relax with all the family and enjoy those special moments together. 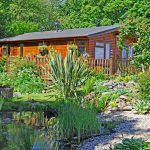 As we know many actually do and go on to buy their own holiday home but for others who share the dream the commitment and financial implications can be off putting. Will we get good value? Will we spend the time visiting? Will the family join us? Key questions that can tip the balance and leave you still only dreaming. 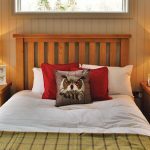 So when we discovered Luxury Lodges in the Lake District at the Pastures, Cartmel and Crake Valley under their unique ‘Simply Shared Lodges’ scheme, we had to find out more. 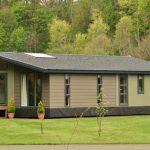 Their new ‘Simply Shared Lodges’ scheme allows those who love the Lakes the opportunity to spend 13 weeks a year in their brand new ‘Skye’ luxury lodge. 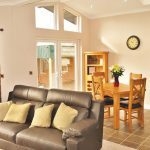 The Skye lodge from Reiver is beautifully designed with open plan living room and kitchen diner with feature panelling throughout enhanced with quality freestanding oak furniture and Kamara flooring. 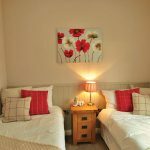 The Master and second bedroom have large vaulted ceilings, with the second bedroom furnished with full sized single beds. The scheme runs for a fixed 12 month period and there is no further commitment required at the end of the term, unless you wish extend. 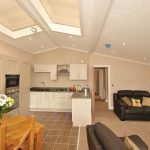 Director, Andy Cotter said “The introduction of our ‘Simply Shared Lodges’ scheme at both of our parks will allow those who love the Lakes a unique opportunity to try before making any long term commitment, at fraction of the cost of full ownership but with all the benefits”. 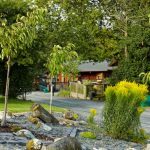 The annual cost of renting the lodge under the scheme for 13 weeks throughout the year is fixed and agreed upfront (£4500 per annum at time of going to press). The only variables are the cleaning and utilities costs. 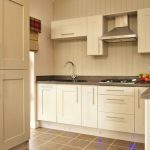 The Pastures at Cartmel is situated in an unspoiled rural setting mid way between Cartmel and Allithwaite villages at the southern end of the Lake District, very close to the northern shore of Morecambe Bay. Up and over the fell is the pleasant seaside town of Grange-Over-Sands with Lake Windermere and Coniston Water less than half an hour drive away. 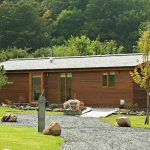 Open 52 weeks of the year the site offers spectacular views down the Cartmel valley to the Lakeland fells beyond and is set in 26 acres of woodland and pastures with the lodges set on individual plots with parking allocated along side, a beautiful location for those people who have dreamed of a second home in the Lakes. Like us, if this catches your imagination and you are wondering what do next, simply call Andy Cotter on 07970 779329 or email andy@thepastures.co.uk to find out more.